The Library will be closed on Sundays. Posted on September 26, 2012 by Sam S.
Closed Sunday and Federal Holidays. And please remember that if you’re using our computers, we shut them down 15 minutes prior to closing. 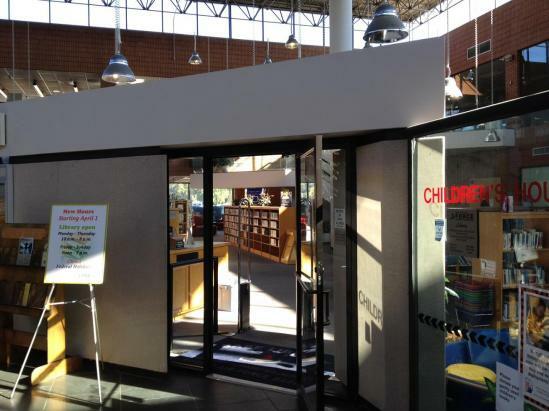 This change will allow the Library staff to better serve our customers with new programs, more one-on-one attention, and better marketing of all the great sections and selections in our collection. We appreciate all of our customers and know this change will allow us to refocus on them. We’ve been listening to you and want to offer you not only an excellent Base Library, but to continue to be the best library in the area. Posted in Current Events, Info, Miscellany, Patron Questions, Welcome! and tagged Computers, Federal Holidays, Hours of operation, Marketing, Robins AFB Library, Sundays. Bookmark the permalink. 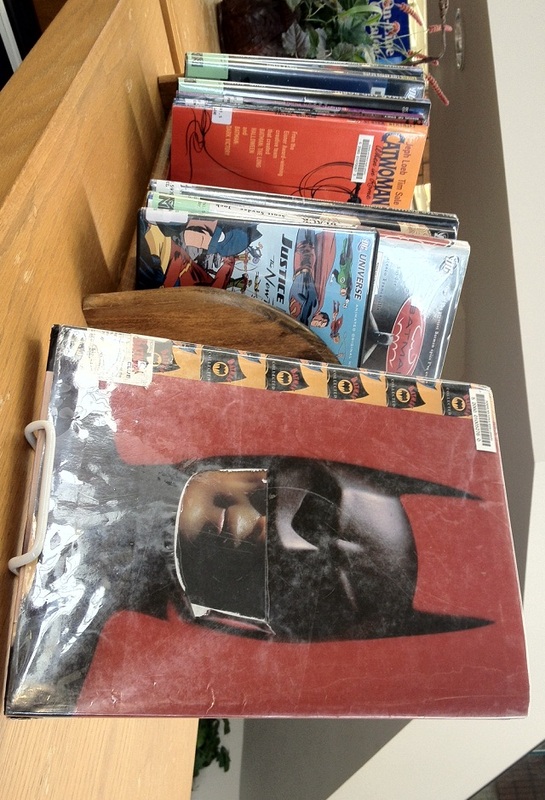 Posted on July 12, 2012 by Sam S.
Contains eAudiobooks from Recorded Books. Library patrons can search for, check out, and download eAudiobooks to a computer and a wide range of portable devices, including your iPod. 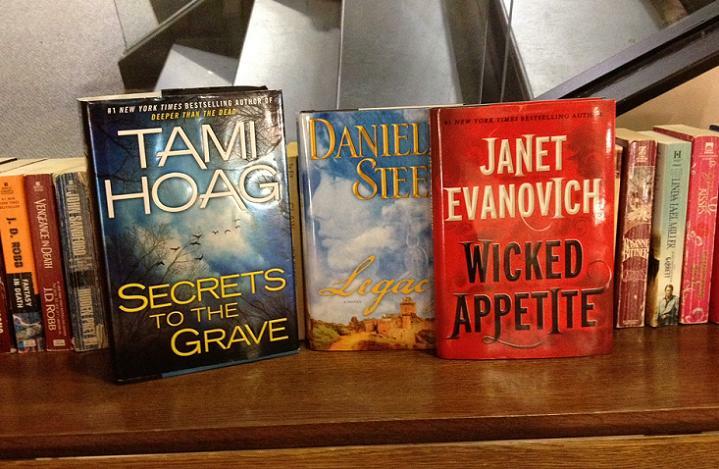 You can access your library’s eContent 24 hours a day, seven days a week. You will need to contact the Robins AFB Library to get a code to set up your account. Providing eBooks as well as eAudiobooks to Air Force Libraries, as well as now offering music and video selections. Offers titles in a wide variety of forms, including Kindle, NOOK, and Sony Reader for eBooks, and all varieties of iPods and Apple products for the audio files. You need to contact the Robins AFB Library to get a code to set up your account. 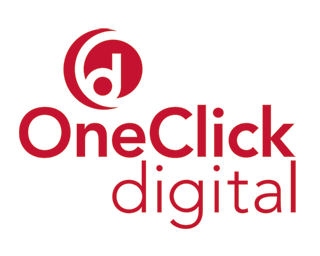 And: Both One Click Digital and OverDrive require to you download a media managers app to download, manage, and sync your files through. 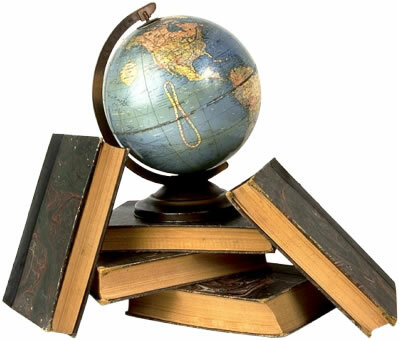 We’d also like to remind you that we have many other online resources that we hope will benefit you, including numerous research databases, as well as Transparent Languages for learning a foreign language, and Universal Class, which provides over 500 different online courses in a variety of subjects and at different levels, all instructor-lead but self paced, and Tutor.com, which is a great resource for online tutoring and educational support, as well as many others. There’s also Peterson’s online, which provides test preparation and resources, as well as help with college planning, and a career and resume center, and Military One Source, a 24/7 resource for military members and their spouses and families. Some of these resources do have certain restrictions or requirements though, such as: You need to physically come into the Library to register for Transparent Languages (and then you can do it anywhere online), and Tutor.com is only for active duty military personnel. We hope that these can be of use to you and you’ll come and check them out. Posted in Audio/Visual, Info, Links, Online Resources, Patron Questions, Welcome! and tagged Accounts, Active Duty, Audiobooks, Codes, Digital Media Program, DOD MWR, Downloadable, eAudiobooks, eBooks, EBSCO, Educational support, Foreign languages, Gale Group, Military members, Military One Source, Military personnel, One Click Digital, Online resources, Online tutoring, OverDrive, Recorded Books, Registration, Requirements, Research databases, Restrictions, The Robins AFB Library, Transparent Languages, Universal Class. Bookmark the permalink. Posted on March 16, 2012 by Sam S.
As always, we want to thank you again for checking out our blog. Mon. – Thurs. 10 a.m. – 8 p.m.
Fri. – Sun. 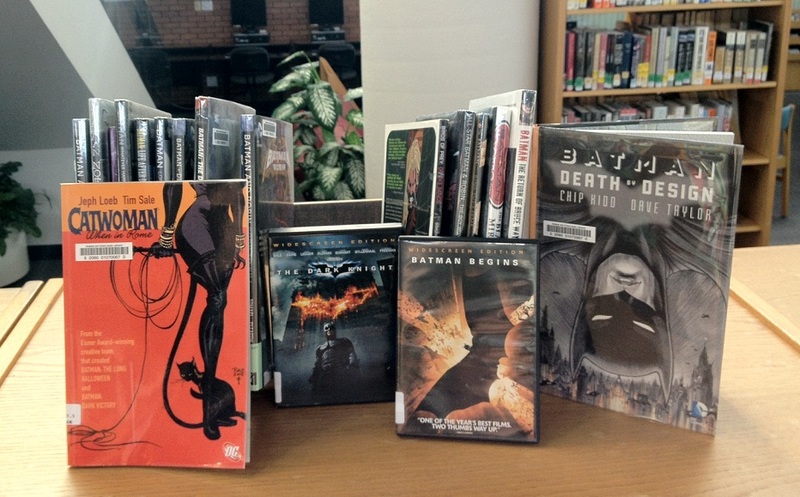 Noon – 5 p.m.
And don’t forget to check out and enter our Trivia/Survey contest, which goes through the end of March. 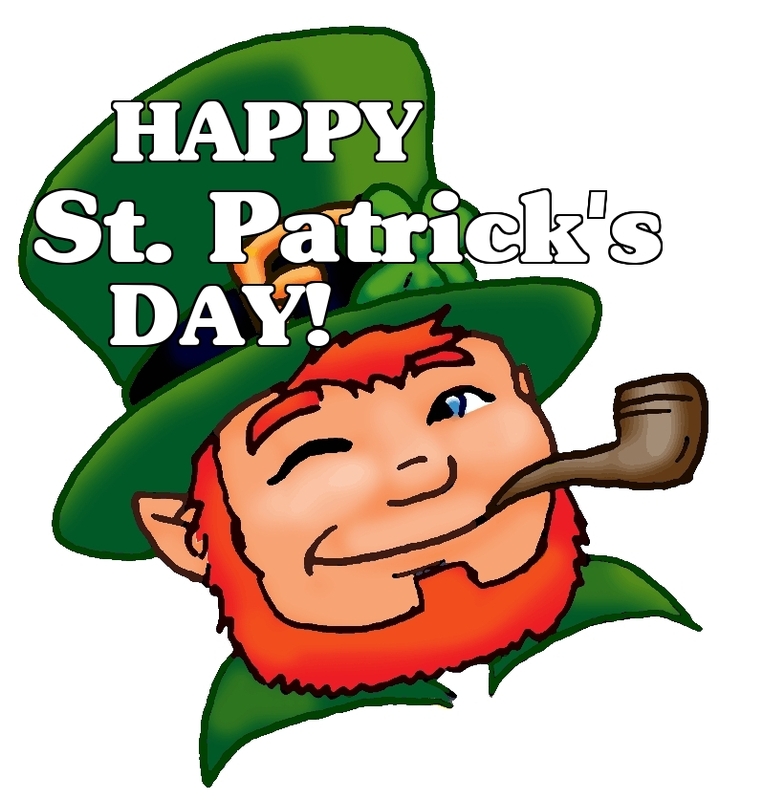 We hope that you survived the Ides of March, and have (safe and responsible) fun tomorrow, which is St. Patrick’s Day. Have a good weekend. Posted in Ephemera, Info, Library Programs and Events, Patron Questions, Welcome! and tagged Contact Info, CONTESTS!, Drinking, Email address, Federal Holidays, Force Support Squadron, Four leaf clover, FSS, Holidays, Hours of operation, Leprechaun, Patron Questions, Pi Day, Robins AFB Library Blog, Safe and responsible fun, Search engine, Search engines, Services, St. Paddy's Day, St. Patrick's Day, St. Patty's Day, The Ides Of March, Trivia/Survey Contest. Bookmark the permalink. Posted on March 2, 2012 by Sam S.
Yes. Yes, we will. In fact, donations from patrons like you is a big part of how we function. So if you have any books that you just would like to find a new home for, especially those in the “gently used” category, then please consider us. And the same goes for DVDs, audiobooks, and things like that. We can always use them. But if for some reason we can’t, we have a giveaway shelf where they can go to somebody who can use them. 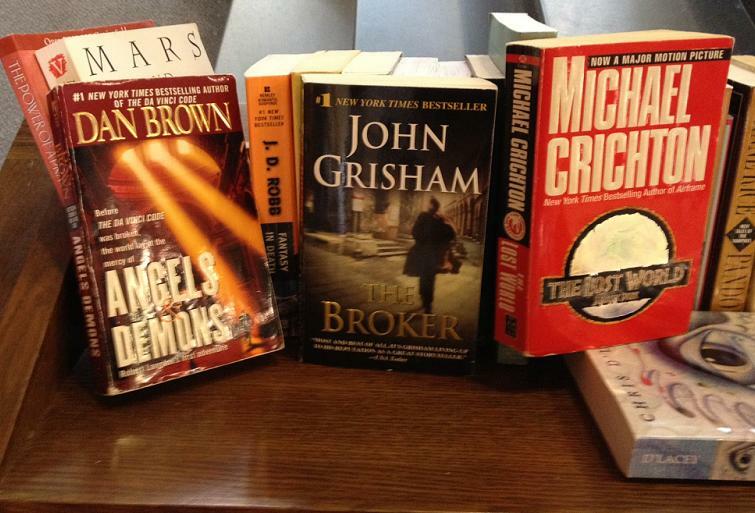 And that’s part two: We have a giveaway shelf! 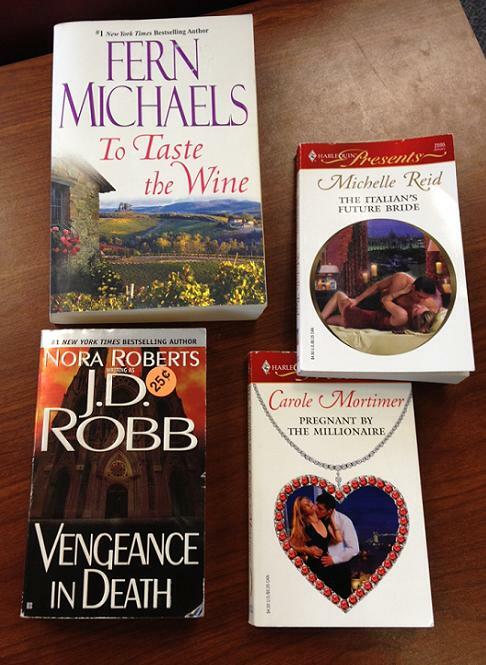 Someone came in the other day and said to me that it was too bad that we didn’t have a paperback exchange, and I said, “Well… actually, we do!” We have a giveaway shelf where you’re free to come and find some items, and if you’d like to to exchange or just borrow those items, that’s fine too, of course. 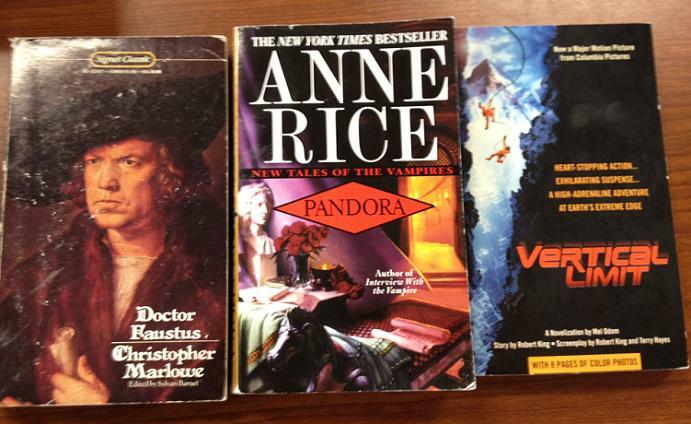 And I gotta say, you’ll find some perpetually interesting choices on the giveaway shelf. They’re mostly in the aforementioned “gently used” paperback form, which is perfect for quick reads or if you’re traveling. 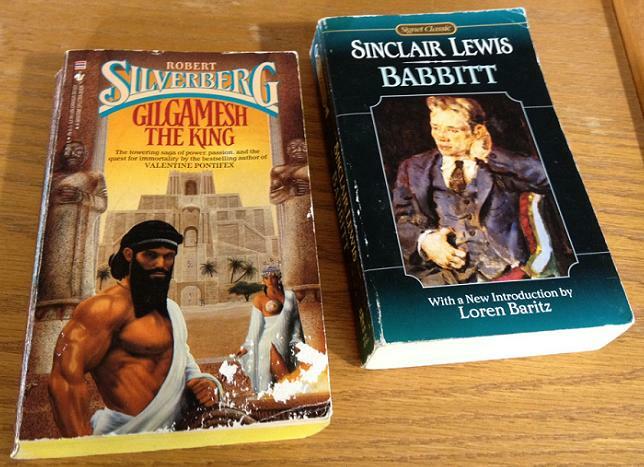 You’ll find some pictures from several of the paperbacks currently on the shelf in this post, but no promises on how long they’ll be there, or what will take their place. So please keep us in mind if you’re ever looking to donate some of your books, DVDs, or audiobooks and stop on by to check out our giveaway shelf when you get a chance. Posted in Featured Items, Info, Miscellany, Patron Questions, Welcome! and tagged Anne Rice, Audiobooks, Babbit, Books, Christopher Marlowe, Dan Brown, Danielle Steele, Donations, DVDs, Faustus, Fern Michaels, Gently used, Gilgamesh The King, J. D. Robb, Janet Evanovich, John Grisham, Michael Crichton, Nora Roberts, Pandora, Patron Questions, Robert Langdon, Robert Silverberg, Romance novels, Science Fiction, Secrets, Sinclair Lewis, Tami Hoag, Tax credit, Tax season, Taxes, The Lost World, Thrillers, Used books, Vampires, Vegeance, Vertical Limit, Wicked Appetite, Yes!. Bookmark the permalink. Posted on February 29, 2012 by Sam S.
Today is the 29th of February! 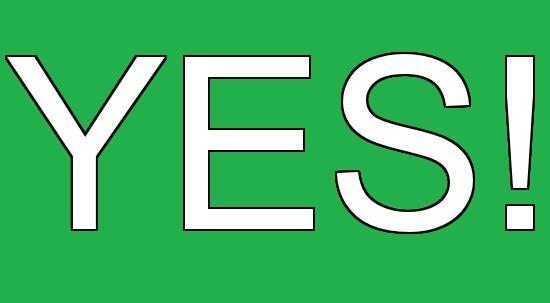 It’s an extra day! You have an extra day! Go crazy! With your extra day! That doesn’t happy very often (“every four years” really isn’t what I’d call “very often”). An extra day! Unless, you know, you have to work or go to school or something. A patron asked us the other day just what exactly is up with Leap Years and Leap Days, and there’s a lot of really complicated explanations out there that can only confuse a person more than anything else. 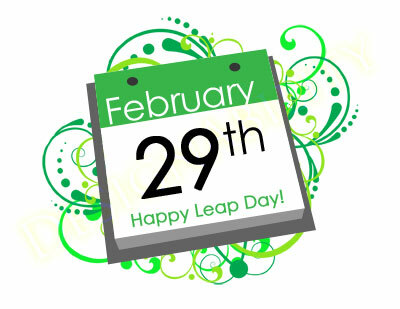 February 29, known as a leap day in the Gregorian calendar, is a date that occurs in most years that are evenly divisible by 4, such as 2004, 2008, 2012 and 2016. Years that are evenly divisible by 100 do not contain a leap day, with the exception of years that are evenly divisible by 400, which do contain a leap day; thus 1900 did not contain a leap day while 2000 did. 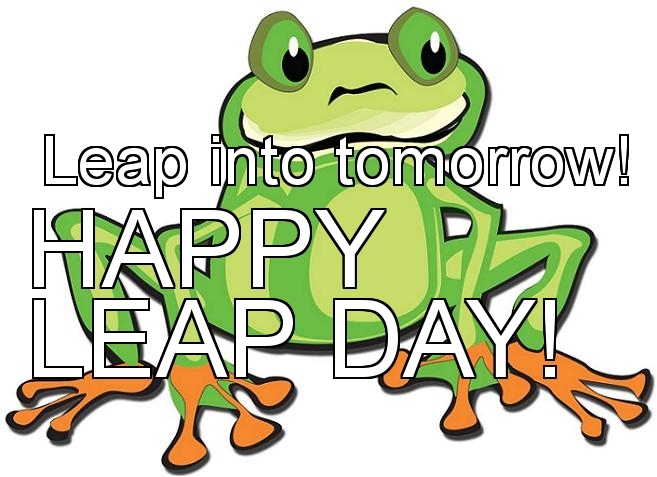 Years containing a leap day are called leap years. February 29 is the 60th day of the Gregorian calendar in such a year, with 306 days remaining until the end of that year. That makes sense, right? Besides being a little complicated and kind of confusing, right? Well, the same Wikipedia article also has a fairly easy explanation for Leap Days, which I’ll break down like this: Each day has 24 hours in it, right? A year is the Earth’s annual trip around the sun, right? And each year, as defined by modern calendars, consists of 365 days, right? Well, yes, and also… No. The annual revolution of our planet around the sun actually takes 365 days and 6 hours to complete. So every four years we take those accumulated extra hours (6 of them with each year), and we add that to the calendar as – ta da! – February 29. 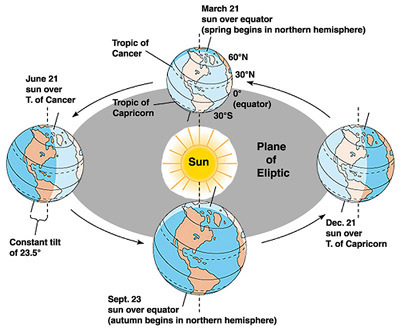 It’s something we do just to make sure that the calendar stays fairly accurate to the planet’s journey around the sun. Also, there’s the whole Julius Caesar angle. But basically, like I said, it’s kind of an extra day, and one you want to enjoy. Just out of curiosity: Any of our patrons or readers out there who were born on Feb. 29? If so, then HAPPY BIRTHDAY! But also, if you don’t mind us asking, how, and also when, do you celebrate your birthday? 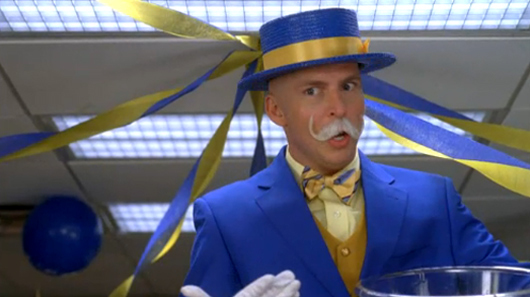 And we hope that everyone has a great Leap Day! Posted in Current Events, Info, Links, Miscellany, Patron Questions and tagged 30 Rock, 365 Days, Alec Baldwin, Ancient Rome, C. G. P. Grey, Confusing explanations, Division, Every four years, Februrary 29, Frogs, Gregorian calendars, HAPPY BIRTHDAY! (if it applies to you), Jack McBrayer, Julius Caesar, Kenneth Parcell, Leap Dave Williams, Leap Day, Leap Year, MinutePhysics, Modern calendars, Revolutions, Space magic, The Earth, The Julian Calendar, The Sun, Tina Fey, Wikipedia, Wired. Bookmark the permalink. Posted on February 10, 2012 by Sam S.
We’ll be hosting a Beginning Genealogy discussion on Thursday, Feb. 16. The discussion will be from 6:30 to 7:30 PM in the library itself and you will need to register beforehand. 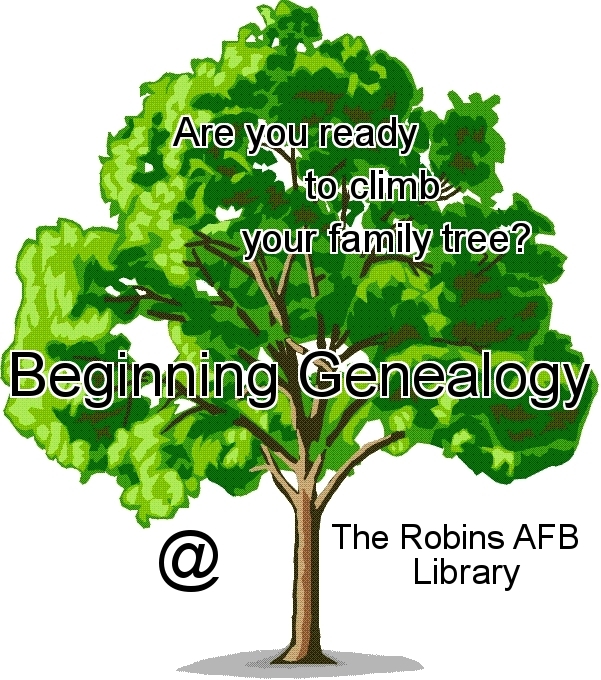 If you would like to register then please send us an email at robinsbaselibrary@gmail.com and put “Beginning Genealogy” in the subject line. Please register by Tuesday, Feb. 14 at 4 PM. For more information please check out our previous post about our Beginning Genealogy session or send us an email. Please don’t ever forget that February is Black History Month! 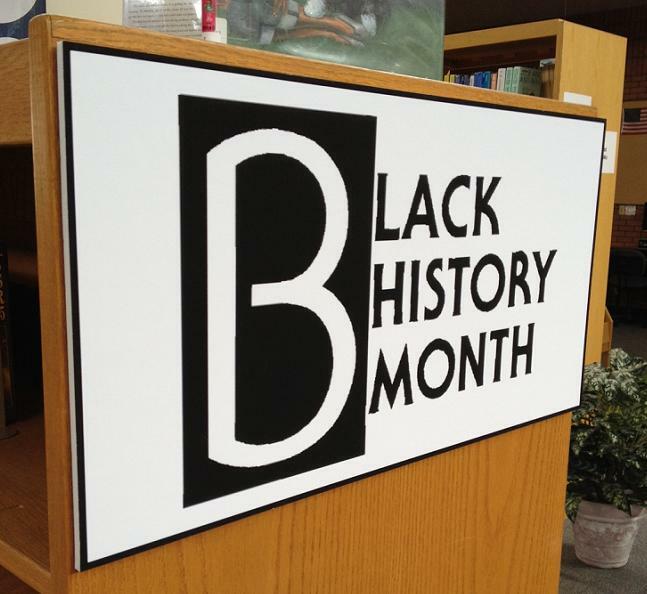 We would like to take this month to highlight, suggest, and remind you of the many print and electronic resources here at the library that may be of interest to anyone researching, learning, or just reacquainting themselves with African-American culture and history. We’re hoping to do several different programs during this month but we’d like to especially invite our younger patrons to come to our usual Story Time, which is every Monday at 10 AM. During every Story Time in February we’ll be learning about different African American achievements and contributions to American history. 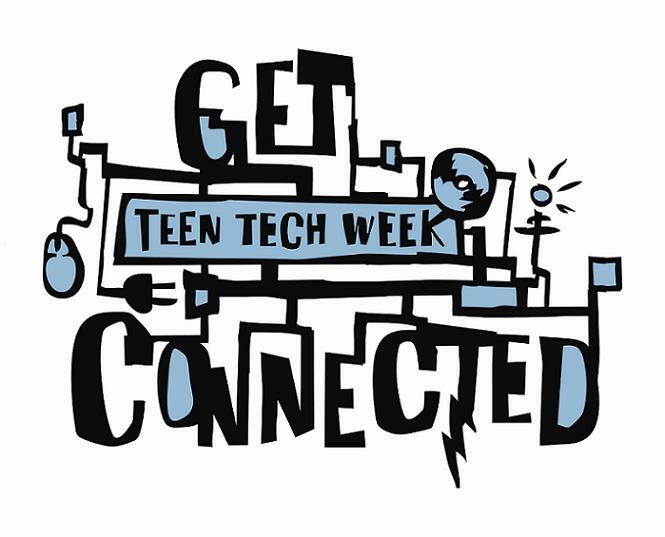 Teen Tech Week is a national initiative of the Young Adult Library Services Association (YALSA) aimed at teens, their parents, educators, and other concerned adults. The purpose of the initiative is quite simply to ensure that young adults are competent and ethical users of technology, especially the types offered through libraries. 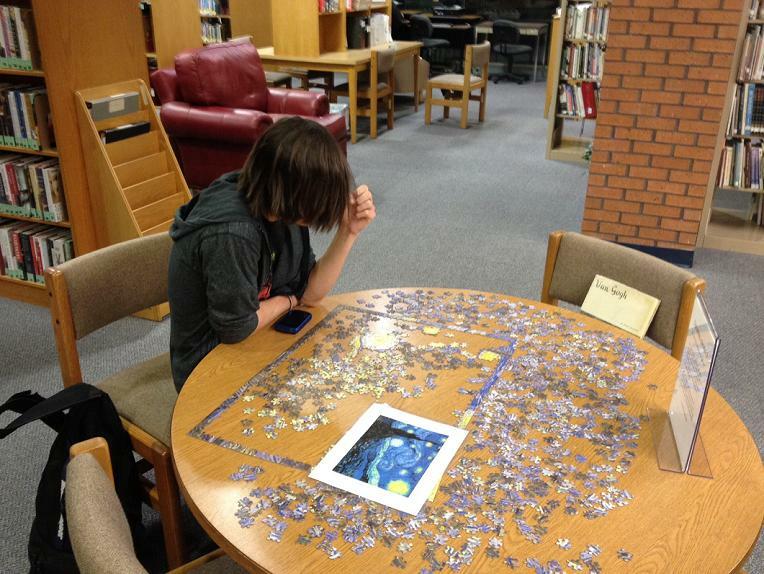 Teen Tech Week encourages teens to take advantage of the technology at libraries for education and recreation, and to recognize how important it is to achieve a greater digital literacy. More details to come but we are looking to do several activities for any young adults interested in participating, plus we’re always open to suggestions or interested in anyone willing to volunteer their time. For more information on the national initiative, check out ALA/YALSA’s website for Teen Tech Week. 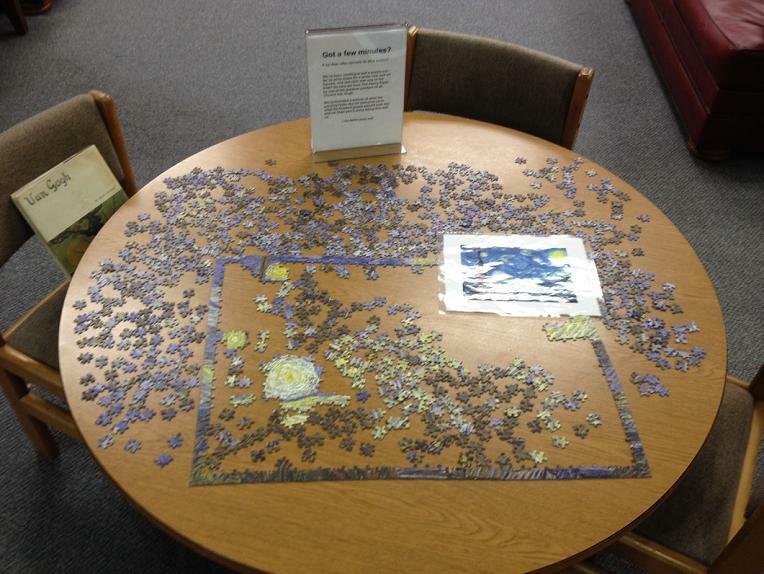 Our puzzle’s coming along pretty nicely. It looks like The Starry Night is finding a few more of its stars, as it were, but we can always use more help. Stop on by and help us out with it, when you get a chance. And keep checking back here for more information on Teen Tech Week and Beginning Genealogy and other upcoming library programs. Posted in Current Events, Info, Kids/Juvenile, Library Programs and Events, Links, Patron Questions, Young Adults and tagged African American History Month, ALA, American Library Association, Beginning Genealogy, Black History Month, Celebration, Digital Literacy, Education, Ethics, Family Tree, Geek out, Libraries, Library events and programs, National initiative, Ning, Paintings and painters, Post-Impressionism, Recreation, Stars, Story Time, Teen Tech Week, Teenagers, Teens, The Starry Night, Vincent Van Gogh, YALSA, You're a star!, Young Adult Library Services Association, Young Adults, Your library. Bookmark the permalink.